The route is in the direction of Kaisiadorys district - Sirvintos district. Route duration is 11 hours. Delicious route! Delicious, because the first stop is gingerbread! It was baked in Lithuania not only for Christmas, but also for other celebrations. The gingerbread was traded in the markets and fairs. Every cook is trying to give the gingerbread an attractive, more interesting form, decorated with coloured sweet filler. It is especially useful to visit the “Festive Gingerbread Baking and Decoration” education event before the holidays. This is a great opportunity to upgrade your cooking skills. After travelling one hour towards Griciunai, it is likely to see the herd of white goats. They eat grass, give milk from which various kinds of cheese are produced. Various educational programs on goat cheese are organized in this village with a wide range of games and entertainment. It’s really not sad here and memories remain for a long time. Do not be lazy to drive 30 kilometres more and in the direction of Ciobiskis and you will smell the mushrooms, but not those who grow in the forests of Dzukija. Fermented mushroom shaped gingerbreads are baked in the Sirvintos district. The housewife will teach how to knead the dough and to form cookies during cooking education session. Gingerbread. Rumsiskes, Kaisiadorys dist. mun. Place: L. Lekavičiaus g. 2, Rumšiškės, LT-56337, Kaišiadorių r. sav. Producer of gingerbreads started to bake them at school. The gingerbreads are still baked and decorated in Rumsiskes. 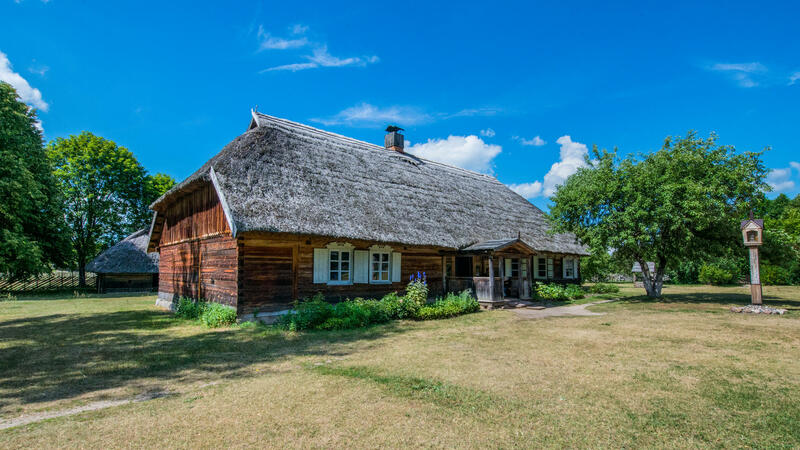 Activities: a narrative of Lithuanian culinary stories, testing of gingerbreads cooked according to the oldest recipe, getting acquainted with decoration and production methods, production of a stamp on gingerbread, decorating, testing. Languages: Lithuanian, Russian, English and German. The duration of the session is at least 2 hours. The occupation is being held during all seasons. Goat's milk cheeses. Sirvintai dist. Place: Širvintų g. 1, Griciūnai, Jauniūnų sen., LT-19154, Širvintų r. sav. Certified goat dairy products are produced in Griciunai village: curd, smoked and dried cheeses. Their producer is a multiple-time winner of gold medals and diplomas, the Lithuanian dairy goat breeding enthusiast. “Educational Session – Showing Cheese Production” and “Tasting Seven Types of Goat Milk Cheeses”. The housewife organizes a one-hour excursion, where you will get acquainted with goat farm and cheese. Activities: excursion to the goat farm, cheese making lesson, tasting. Duration: 1 hour or depends on the program. Gingerbread "Mushrooms". Ciobiskis, Sirvintai dist. Place: Kranto g. 2A, Čiobiškio k., LT-19194, Širvintų r.
Figurines and simple gingerbreads certified in the Ciobiskis village are made from natural products. Using them, the baked products are delicious and fragrant, and the gingerbreads do not lose their taste for a long time. Activities: kneading the dough, making cookies, baking, tasting, listening to the stories about gingerbreads. Duration of training: up to 3 hours. Route length: 106 km Duration: 7 h.